On Tuesday, November 6th, Sheriff Mark L. Pettway made history as the first African-American elected as Sheriff of Jefferson County. Sheriff Pettway says he never focused on making history but rather making a difference. Sheriff Mark Pettway has diligently served as a law enforcement officer for over 27 years. Sheriff Pettway is a life-long Jefferson County resident who grew up in a working-class neighborhood not far from Birmingham’s Legion Field Stadium. The son of an Army Sergeant First Class Officer and school teacher, Sheriff Pettway began to excel as his parents provided him with something far greater than material wealth. Specifically, they instilled in him strong moral principles, a robust work ethic and a burning desire to excel. Given Sheriff Pettway’s ability to implement this rare yet useful combination of gifts, it is no surprise he learned the value of hard work and determination at an early age. At the ripe age of ten, Sheriff began to learn the importance of hard work and dedication. Working as a newspaper carrier, he operated on his own route and maintained connections with the individuals along the root for the next six years. To this day, Sheriff Pettway continues to draw from the experiences and insights he gained from his first job. Among these are the importance of consistent performance and responsible stewardship. These values and early life lessons became the building blocks for his professional career. 1991 marked the beginning of Sheriff Pettway’s professional career at the Birmingham Police Department, where he served as a Correctional Specialist. In 1993, he joined the Fairfield Police Department as a police officer. In 1999, he joined the Jefferson County Sheriff’s Office as a deputy where he received six commendations for great and outstanding work. In 2012, Sheriff Pettway was selected for the specialized IRS Task Force Agency, where he operated on a criminal investigation team responsible for the enforcement of tax, money laundering and Bank Secrecy Act laws. Shortly after in 2013, Sheriff Pettway was promoted to Detective Sergeant, a position which demanded an even greater amount of relentless dedication. At this point, he began to serve in the areas of criminal and crime scene investigation, arrest review, and background investigation. 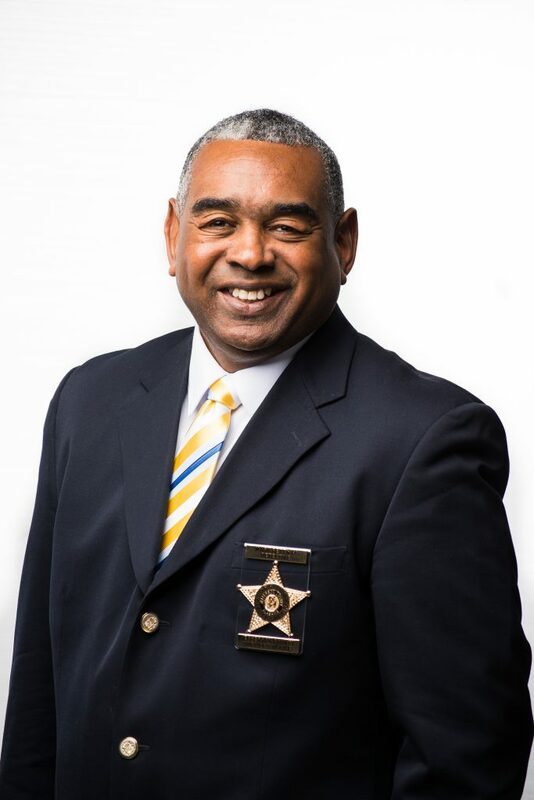 Needless to say, Sheriff Pettway has proven himself to be a leader within the Jefferson County Sheriff Office, and within the region as a whole. With over two decades of experience and strong relationships with law enforcement and government leaders, he has gained the trust and respect of local, state, and national criminal justice organizations. He is a member of the Fraternal Order of Police, National Organization of Black Law Enforcement, Police Benevolent Association and a former member of the Law Enforcement Bicycle Association. Sheriff Pettway is also a proponent of education, both in the classroom and on the job. He holds a bachelor’s degree in Business Administration from Faulkner University, Montgomery, AL., and is a certified instructor at the Jefferson County Sheriff Apost Training Academy. Previously teaching Cyber Crime and ID Theft education classes. Sheriff Pettway and his wife Vanessa have been married for 25 years and have two daughters, Markia and Gabrielle. Markia and Gabrielle are graduates of The University of Alabama and both teaching in the Jefferson County Area.